It all started with a mouse that came from a dream. But Walt Disney initially failed when he created Oswald the Lucky Rabbit, a character that Charles Mintz took credit for. Disney went back to his studio and, determined not to give up, started sketching what would become the most recognisable symbol of Disney: Mickey Mouse. One man’s ambition created the films and the music generations grew up on. The parks and resorts continue to provide entertainment to millions of visiting families. Taking a 16-hours-long flight from Dubai to the conglomerate’s largest complex, Walt Disney World — twice the size of Manhattan — in Orlando, Florida, I didn’t know I was on a life-changing journey. As someone who grew up on Disney films, the child in me was fascinated. It wasn’t just coming face-to-face with my favourite Disney characters — they seemed so real! — or racing down the Seven Dwarves mine, or hearing a track that took me back to my childhood when my sister and I would stay glued to the TV during our Disney films marathon. The Disney theme park exemplifies attention to detail, to background sounds, and to the smells and visuals that provide visitors with an emotional experience. I was not just a viewer, but a part of a story that, as a child, I had once lived. 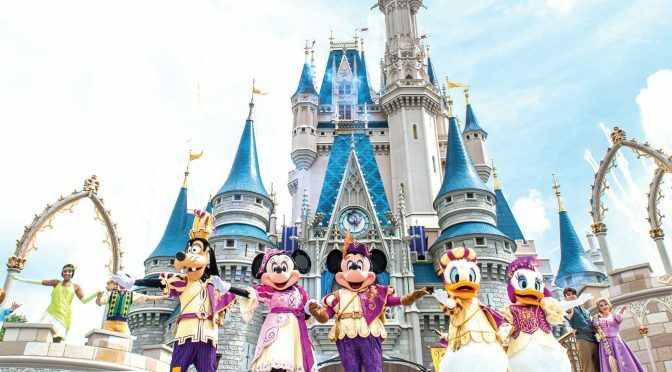 The experience starts with Walt Disney World’s 70,000 employees who run the complex’s four theme parks, two waterparks and 27 hotels that attract 68 million visitors to Orlando every year. The term cast members applies not only to performers in Disney costumes but to ride operators and people working in retail. Everyone at Disney is in character, and expected to act ‘onstage’ in the presence of guests on the Disney premises. They’re offstage only in their offices or behind a computer screen. When I met Mary Poppins, the first to sign my autograph Disney book, she told me in the elegant yet stern tone portrayed in the film, “I like arriving early, it makes my name the first on everyone’s book.” Oh, and Tigger gave me the tightest hug. You cannot simply walk away from the Magic Kingdom Park’s fireworks show, ‘Happily ever After’. When the narrator in the background tells you to “grab hold of your dreams and make them come true,” you can’t help but feel inspired. Entry to Walt Disney World’s Magic Kingdom Park starts at $119 (Dh436) & to Epcot, Disney’s Hollywood studios and Animal Kingdom at $114 (Dh418). Previous PostHow I deal with tech problems at homeNext PostWould you go see a van Gogh painting made into a carpet?